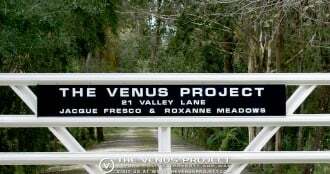 Roxanne Meadows is the co-founder of The Venus Project, which is looking to find alternative solutions to the many problems that confront the world today and ultimately build an experimental city to design the future of humanity. From 1975 to the present, Roxanne has worked with renowned futurist, Jacque Fresco until his death in 2017.
has there been any english people on your tours .ive never seen any? This interviewer is failing to see how easy common sense is. People just don’t use it. Only way to get them to use it is through education that actually shapes culture. Jacque and Roxanne are much appreciated sources of perspective I value — Antoine de Saint-Exupéry, the TAO, Victor Frankel, Earl Nightengale (Acres of Diamonds) and my Tuscarora friends are among many others. Well without the education the corruption will continue to drive the scarcity. All I am getting out of what you saying is the inherent problems not being able to put to practice what should be common sense for all life in abundance. These bad habits we have with the deliberate manipulation to consume and demand will not end while corruption is profitable. Common sense is allot easier when you simplify common goals and needs. Not everyone is a Horse. The common goal is unquenchable without scope. You would not need to lead if the understanding of fulfilling that thirst can be met. A thirsty horse would not need much convincing to drink. Really really good stuff! Not sure I like the practice of interjecting recorded comments without giving the guest an opportunity to respond to your perspective. However, all in all the information in this interview was fantastic!